The Bill Splitters are offered in two sizes, 30 and 50. The 30 would be considered a small size lure while the 50 would be a medium. Both can be ordered individually, rigged or not and in sets of four. 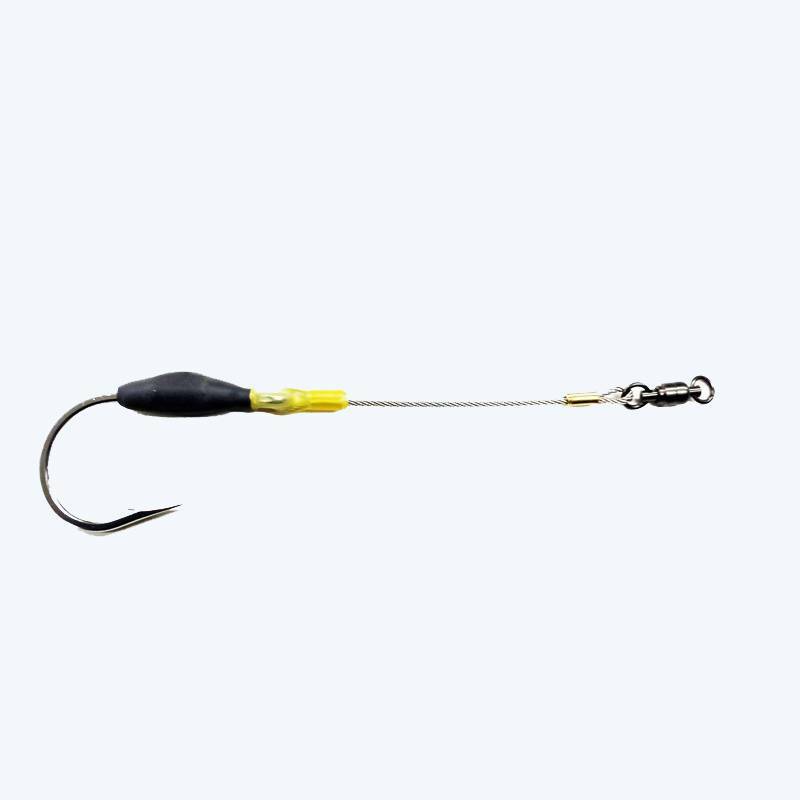 Bill Splitter 30's are rigged with a 9/0 Single Southern Tuna Stainless hook, with 600lb test cable and 8ft of 250lb Momoi leader. Bill Splitter 50's are rigged with a 10/0 Single Southern Tuna Stainless hook, with 600lb test cable and 8ft of 300lb Momoi leader.